When you have 10 bridesmaids there is bound to be fun photos with the bride. 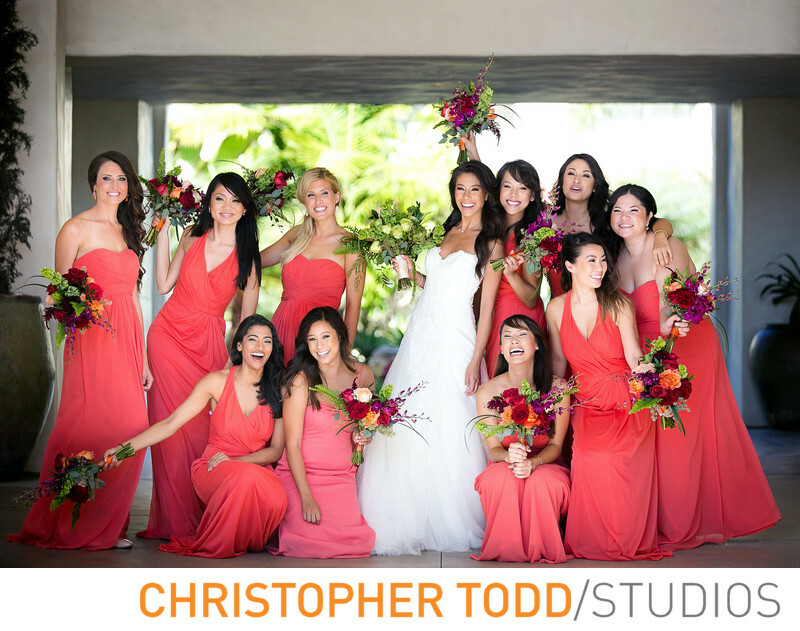 This group of ladies and the bride looked stunning in their choral gowns. Getting the bridesmaids to laugh was what made this photo fun. 1/400; f/2.8; ISO 200; 123.0 mm.